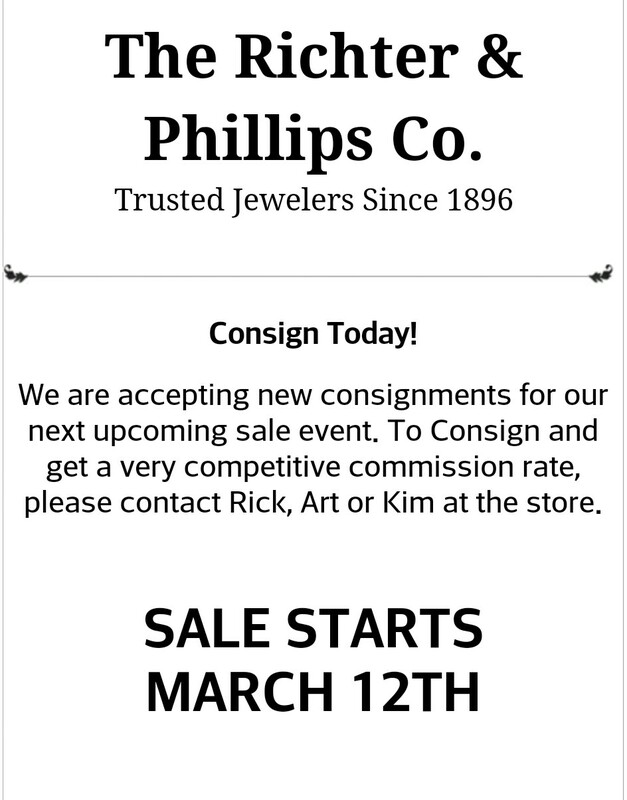 The Richter&Phillips Co. is accepting consignment! 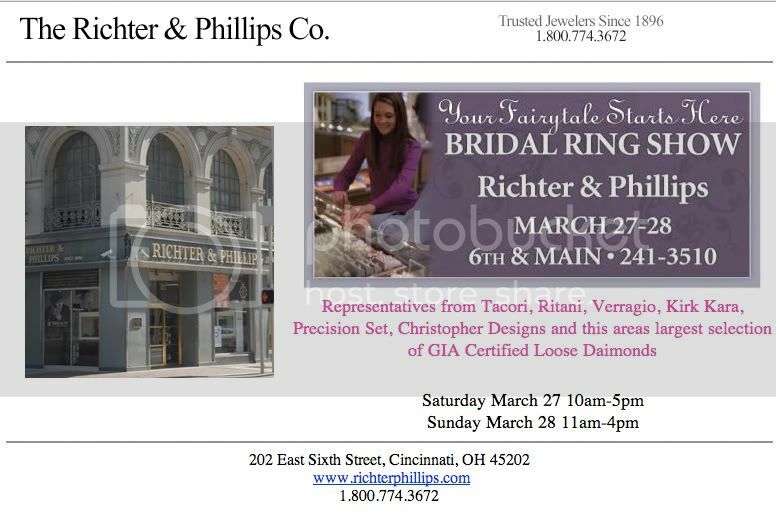 Richter & Phillips Diamond Sale This Weekend! You’re invited to the Loose Diamond and Designer Bridal Jewelry Sale March 21-23 at The Richter & Phillips Co. Designer Representatives and Four Graduate Gemologists will be there to help you create your masterpiece – no matter what your diamond needs are, now is the perfect time to check them out! This will be the season’s best pricing and qualified buyers can opt for interest free financing! 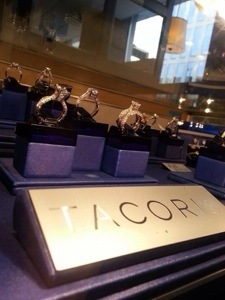 If you’re thinking of getting engaged or want to upgrade your diamond ring, this is the sale for you! Friday, March 21 9 a.m. to 6 p.m.
Saturday, March 22 10 a.m. to 5 p.m.
Sunday, March 23 12 p.m. to 4 p.m. If you can’t attend, don’t worry! We’ll have a Cincy Chic’er there at 11 a.m. on Friday live-tweeting some of her favorite finds so make sure you’re turned into our Twitter handle – @cincychic – at that time!